Our Friday Night Rivals game of the week was between two teams who had nothing to play for, other than pride. And, that’s exactly what they showed until the very end of the game. North Valleys had transitioned this year to the 3A from the 4A to give their athletes a better chance to compete. Coming into the game, they had only won twice, as had their opponent Sparks, and oddly enough they had beaten the same teams, Dayton and South Tahoe. There would be no playoff games for either team, so this one meant everything to the outgoing seniors. The Panthers showed how much they wanted this game by winning the coin toss and taking the ball. Unfortunately, they went 3 and out. On their first possession, Sparks had more offensive success but ran out of downs. On their second possession, North Valleys gave the ball to Garrett Pennington, near mid-field, and he broke three tackles on his way to a 47 yard score. The two point conversion was good and with 3:54 left in the first period NVHS led 8-0. 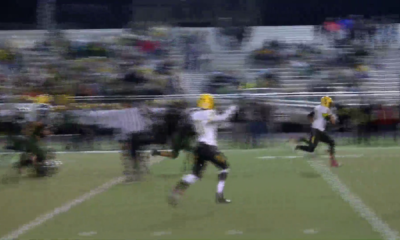 In the second period, Pennington did it again, this time going 50 yards. The conversion was good and the Panthers led 16-0. Four minutes later with 6:12 remaining before half, Zach Mahoney ran 24 yards on a fly sweep for the Railroaders first score. The two pointer was good, and the lead was cut in half. On their next series, North Valleys snapped the ball out of the end zone and it was a six point game, 16-10. The Panthers recovered a Sparks fumble on the first play after the free kick at their own 45 yard line. The drive was capped off with Pennington’s third TD of the first half, with a power run up the middle. Another two point conversion made it 24-10 at half. Sparks got the ball to begin the third period and after a sustained drive, scored on a one yard run by Aleki Po’oi. Cole Meacham’s kick made it 24-17. North Valleys regained the momentum and scored in just over a minute later with a one yard run by Pennington. This time the conversion was not good, and the Panthers led 30-17. The Railroaders came right back in the beginning of the fourth quarter with a 43 yard dash by Po’oi. Meacham was good again and the lead was down to six, 30-24. With 4:42 left, Pennington scored for the fifth time on 20 yard run, and the Panthers scored another two pointer to lead 38-24. 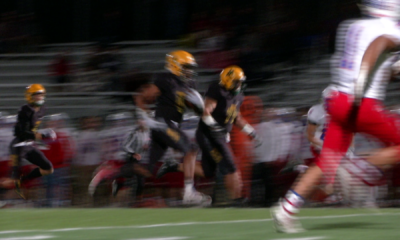 Eleven seconds later, quarterback Tyler Green threw a lateral pass to Po’oi and he found Naythan Diaz wide open in the secondary for a 75 yard pass and run for the touchdown. The extra point was no good, and Sparks trailed by eight, 38-30. 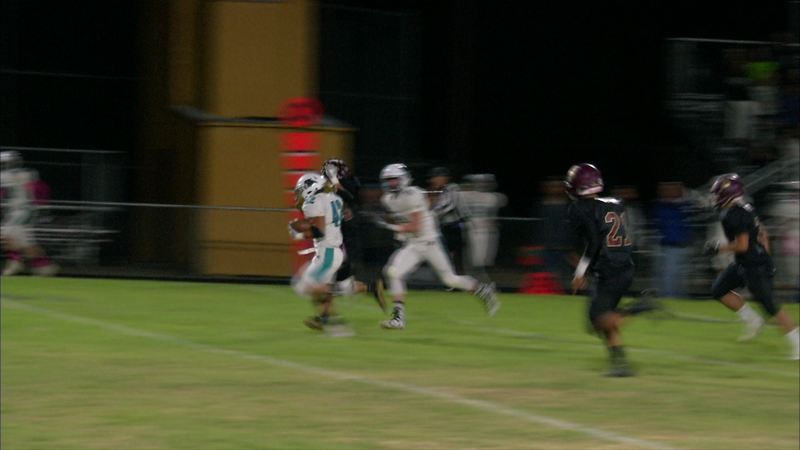 North Valleys had the ball in the red zone and another chance to score with a 1:45 remaining. Out of respect for their opponent, and showing what true sportsmanship is, when you and your opponent have left it all on the field, the Panthers went into their victory formation and took a knee for the last couple of plays, rather than trying to add to an already winning score. Congratulations to both teams for showing, it’s not always who wins, it’s how you play game! 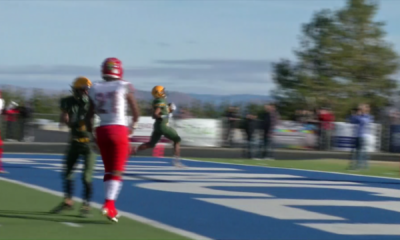 The video highlight of the North Valleys versus Sparks game are below.